Whether you want an eBook as a free give-a-way or for a product that you can market and sell or you just want to create digital products fast. I have a simple solution for you. Starting an online business and competing in a pool of sharks and scammers requires wit, some technical ability, and the know how to create and to innovate if you want success in the online world. If you want to work online at home and build a truly profitable business, your business must have two traits. Two, you must be seen as a market leader in your given niche. I’m going to show you how you can dominate your niche by using PLR material. Private Lable Right (PLR) products have been helping marketers, entrepreneurs and coaches save time, effort and money with the nitty-gritty, hard work, such as content creation while they focus on growing their business. It has also helped many get their businesses off the ground and fast-track their efforts to success. PLR products provide a way to build a successful business by helping you leverage pre-written content to achieve more, in less time. With PLR products at your disposal, you can take on the giants of Internet Marketing in any niche or become a market leader in your chosen niche. What’s Private Label Rights Rights? Private label rights (PLR) is written material (such as web content, books, or autoresponder content) that you can purchase and claim authorship. There are different kinds of PLR content available, various methods of acquiring it and different rights provided to you once you’ve obtained it. Usually, nevertheless, the right to claim authorship likewise gains you the right to edit the content, break it apart, assemble it into a larger source, release it on your website, etc. Want More Details about PLR? If you still don’t get it. 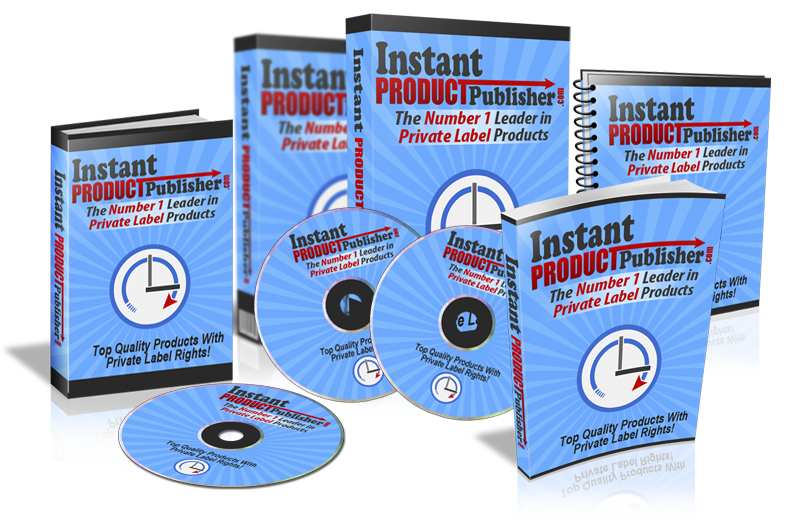 I have a free training course with four downloadable reports that will tell you all about Private Label Rights that you can get from here (No sign up required) – just download the books directly. I’m giving you free access to four training manuals that cover practically every way you can cash in with PLR. One of the biggest problems people face with PLR products is selling it ‘as is‘. If you’re just the same as 1000’s of other people out there doing the same thing, then your sales will be few and far between. Most drop the price of their product, start a price war and before long, what may have been a quality product is now sold for mere pocket change. The answer is to re-brand the product to the point where it looks nothing like the original, put in more value and then attract your own affiliates by offering a generous commission. Get this right and you have a top selling product that’s a money maker for a long time to come. Generally PLR content is great for affiliate online marketers since it’s cheap, you could modify it, insert your very own affiliate links and it’s well worth the effort to make it unique. How Do You Exactly Do That? 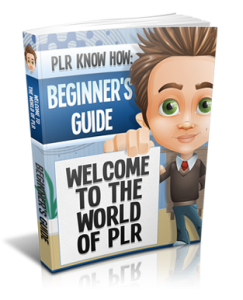 An introduction to PLR from top to bottom. How you can make money from them and how to maximize your ROI. Time to learn and earn! Getting a domain name and web hosting. Possibly the most overlooked and yet, potentially most profitable parts of your PLR makeover process. Running Time 9:50min I introduce several tools (many of them are FREE) that you should have in your PLR toolbox. I show you how to repurpose a PLR report (short eBook) Running Time 5:35min The importance of a good product title and some tips on coming up with a new title for your newly created product. Now that you’ve seen the videos and you know, how to modify and set up your PLR products. You now know how you can take advantage of them. To make income from your e-books you’ll first need to market your information. The fastest way to sell your e-book for a profit is to build trust and credibility by making a website that provides quality information and gives helpful hints that readers want to know. If you offer your book as a more in-depth solution or as additional information, then providing testimonials from prior customers who bought your book will also help you. You can also sell it online on Amazon, or eBay or Fiverr. If you have a blog then you will able to use that as a medium to sell it there too. Or you can use it as a lead magnet or give it away as a thank you for people leaving a comment. After you’ve sold your e-Book, you can make extra money by selling valuable monthly updates, particularly if your subject is something that’s ever-changing or needs updates. Also, you have a customer who may wish to receive other others from you. Next, you ought to look into making your e-Book available for offline utilization. There are still many individuals out there that would prefer to have the data in hard copy, they feel it’s more credible if they can hold the information in their hands. Lastly, you ought to reinvent your book to work in other markets. Many e-books are very generalized; if you added a little more information, perhaps some graphics to these books or changed a few details, they’ll be useful to a larger group of buyers. Of course, you also have the ability to begin the marketing procedure over again by rewriting it again or generating more traffic by allowing other marketers or publishers to give away your books on their site. This will greatly increase your customer base for a very minimal investment. The reality is, when you use PLR, you get to tap into a powerful force, which offers many advantages for the savvy marketer and author. You have the advantages of creating on-demand products which you can turn around and make an income with a bit of editing and a little work. What would you rather do? Study and research for weeks trying to launch a new eBook or digital product? Or sit back, let experts write out the basic material and reap the benefits for very little cost, a few tweaks, and a little effort? Where to Find Quality PLR Products? You don’t need to look too far to find sites selling PLR content – it’s a reasonably lucrative business for writers, who can earn a lot more from selling one article to many people than they could earn writing the same article on an exclusive contract. But how do you know if the PLR products or the content is up-to-date or any good? How do you know if it’s good quality or not? What if you could find products and content that you could proudly call your own, something that was good enough that you could actually sell to your customers as well as use it for building a list of subscribers. “Well, I have researched this for you and after months of searching, I have found a Private Label Right (PLR) Package that gives you not one, but 26 Top Quality eBooks that are ‘good to go’, giving you 26 Instant Niches that can earn Money from. Meaning you can start your online business with quality products straight away”. These are products that are already created for you and can change or modify them however you like and take all the credit for writing them and even use them as eBooks directly as give-a-ways to get subscribers. I have done this myself many, many times and it’s REALLY simple, you simply take a PLR product, spend some time editing it adding your links and creating a new cover, and BOOM! – You’ve got a brand new product that you can use to write a blog post about and promote, or use for content for a post, bring in subscribers, or sell it for a profit. With all these PLR Products YOU will be the CREATOR and AUTHOR of every product which you never had to lift a finger to create. All of the content in each package can be edited as you wish, allowing you to start your online business without having to create a product from scratch. Even just one of these could get you started and with content for a blog and a free give away, or a great eBook to sell. This is a Private Lable Rights package that provides you with a ton of content that will help you stay ahead of your competitors in your chosen niche. You don’t have to be super-creative to produce your own unique products. You can now do what so many top marketers do, and that is to outsource your product creation by using PLR products. So why, waste time with research and development when you can go right to the source and save time, save money and use this strategy to create a continuous source of new content for your online business. Remember that one of the biggest problems people face with PLR products is selling it ‘as is‘. If you’re doing this then your sales will be few and far between. The answer is to recreate the product to the point where it looks nothing like the original. An article spinner can help you churn out high-quality, re-spun content so that you can totally rewrite the content provided in any PLR product, eBook or article. So, if you’re looking for an affordable solution for nearly effortlessly rewriting content then I highly recommend you check out Spin Rewriter. It comes with a free trial, you have time to see how well it works while you build some traction and momentum with your new PLR products business. With Spin Rewriter on your side, you’ll never need to worry about rewriting content or indeed creating any content again. Together these two products offer a real solution to building and profiting from creating your own online products. You will be initiated into the world of PLR and have the answers only true experts know. Getting this valuable resource will be an investment in your life. Together these two products will be your very own private resource to building your PLR empire. Why is PLR’s a great product to create and promote? Because the world is hungry for information. There are over 3 billion people searching online for information and solutions to problems. Imagine if you could get your solution in front of some those people with your websites working 24 hours on auto pilot offering answers to what they are searching for. By having access to quality products that you can sell as your own, without having to actually create them, could literally change your life and increasing your online income in a very short period of time. This Product has a 100% Money-Back Guarantee! You are covered by a complete 100% money-back guarantee. I am so certain that you will find Instant Product Publisher such an advantage to your business, that we will give you back all of your money if you are unhappy for any reason! If after 60 days from the date of your purchase you are not completely satisfied with your purchase, contact me and let me know, and I will issue a full refund as long as it is before the 60-day limit. No risk guaranteed! And there is a Dime Sale running on this awesome package, right now. So check it out before the price goes back up. You can grab this complete already made PLR Package Right Now! Normally $97 But currently around $35.00 because there’s a Dime Sale on – So the longer you wait, the more the price increases! I have one more low-cost option for you that you can implement while you are getting your education, you are going to really like. “Prior to getting an education from Wealthy Affiliate, I had been going from one ‘Bright Shinny Object’ (BSO) to the next, being scammed, getting ripped-off and getting very frustrated. Getting this PLR product creation program and the e-book is entirely optional, you may not be ready to create your own products. 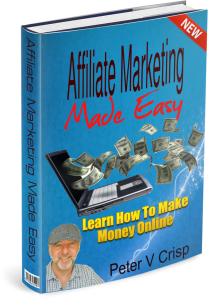 If you are just starting out and want to get an education on how to make a living online then I recommend you go to Wealthy Affiliates where you can learn everything need to know. You can connect with this program by clicking on the banner below. It’s free to join and I recommend that you join whether you get product creation course or not. This is a complete education program, created by online marketers for those wanting to become online marketers. Again this is an excellent place to get an education and you can do it at your own pace and from your own place. So if you want to learn how to set up an online website completely from scratch, learn to use search engines to your advantage, and to build a sustainable, long-term business, my number ONE recommendation is you join Wealthy Affiliate. I understand that this whole idea of PLR and affiliate marketing and working online may seem overwhelming and (for some) very confusing, hence the reason I have offered the above as complete solutions for anyone getting started online. If you enjoyed this article “How to Create an eBook Online” please feel free to socially share and leave a comment below. First of all thanks for this thorough step by step guide for creating an ebook. I just recently came to know about this ebook stuff and its potential for making money online. It is very helpful and quite actionable guide for me to follow. Thanks again for this awesome blog.I really loved reading it. So much free information! Thank you for the great read. I was not very familiar with PLR products before reading this but it has got me thinking of ideas now that I know there are some better ways to create products rather than spending months researching and typing and retyping it all myself. It seems like there are multiple uses for PLR products past just ebooks. Have you used them successfully for other applications? Thanks again for the information and have a great day! Well, I’ve always seriously considered creating my own eBook but in generally my thought process would be something like this. It’s a book, books take, like months or years to publish! Well, I’ll just put it off until next year or something. Of course, it never happens. But with private label rights, I can see it happening in a matter of days! Thanks for expanding my horizons and I will definitely check that out. This sounds interesting. I am familiar with PLRs but I have not explored this thoroughly before so this is the first time I am learning that you can edit them, rebrand them and sell them as originals. This is a business idea that really can be explored further. I love to write but I could never seem to find the time to create my own book because of the many tasks that keeps me busy. Another great post from you! Peter, thanks so much for sharing this great post. You have provided an incredible amount of detail on “creating an ebook”. With this detail, I am going to give it a try! I am also interested in the information on Private Label Rights. Would you recommend plrebooksclub or Instant Product Publisher as the better option? I always enjoy taking a look at your website. It really is a model for Affiliate Marketing. Hello, Miles. I have been asked that before and my answer was that Instant publisher is a better option because the quality is much better and are, is good enough to give away or sell (as they are) if you have a market or a niche dedicated to the topic in question. I have seen many eBook offers and I really like this one. Also if you got it together with the article re-writer (I wrote about in that post), you have the ability to completely rewrite any eBook very quickly so that they are always an original product and that makes the two together very powerful indeed. Thank you for your comments and questions :). Great information on your site especially the post about how to create an eBook. That’s actually one of my goals and you saved me a LOT of time having to research how to get it done. It’s like a definitive guide to creating an eBook! I’ve been thinking about writing an e-book for a while now, but the problem is one major thing. See I do have my own blog online, but my e-book ideas are mostly for fictional stories. I don’t suppose you know how I could market and make a profit off of those do you? That would help out a lot. I’m still trying to figure out what I could even write a book about in my particular niche. I really enjoyed reading your blog, I thought it was a good insight in how you can gain online affiliate wealth through creating your own ebook online. I Also found your content to be interesting and concise which is what i think is essential for all blogs out there. Peter,this is a great post. I have read alot of blog posts on this subject but none is all encompassing like what you did here. The spin writer has got me my interest though, I know I saw somewhere that you are not going to fall prey to google Panda by respinner articles, is that really true? If it is then spinwriter is must have for all online business people. Thanks again for a wonderful article. Hey, I adore your website you have a really connected the facts. I adore your content and I’ve think I have now mastered a whole thing by simply just reading your write-up. I am not of a fan of creating content like eBooks using PLR. I think that if you were to become successful and your online business upscales then you will become unstuck in terms of not knowing what you are supposed to have said in earlier content. You will get found out. I know that it takes away the stress from the initial setup, but it is the hard work at the beginning which will pay out later. I’m sorry, buddy but I have to disagree with what you are saying here. Please convince me otherwise. 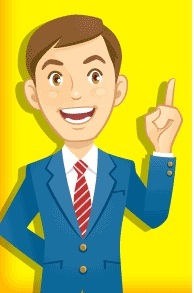 Hello, Gary Yes one of the biggest problems people face with PLR products is selling it â€˜as isâ€˜. If youâ€™re just the same as 1000â€™s of other people out there doing the same thing, then your sales will be few and far between. As I say in my post the answer is to re-brand the product to the point where it looks nothing like the original. An article spinner can help you churn out high-quality, re-spun content so that you can totally rewrite the content provided in any PLR product, eBook or article and then by putting in additional value and then attracting your own affiliates and by offering a generous commissions you will have a viable business. So it’s not about using the PLR products as they are, but using them as a base to create a much better product. These are some great ideas. I have an eBook on one of my sites that we are giving away for free at the moment just to try and get some traction. I have never heard of PLR before or though of using an article spinner to re-write content. That actually sounds like a great idea. As my site becomes more profitable I will have to give that a try! This is a great site. I have been thinking about offering an ebook for my site just wasn’t sure until now. I will definately be writing one now that I have the information you provided. You site is great because I can understand the information and it seems pretty cut and dry on how to write the book. What percentage of these “online ebooks” are re-purposed books? I am always looking for new ways to make money. I’ve looked into several of these types of offers and have always turned them down because it feels unauthentic. I’m assuming there are a ton of people out there using the exact same language. How do you avoid something like that and make it feel more authentic? Hello and that’s a great question. One of the biggest problems people face with PLR products is selling it â€˜as isâ€˜.If youâ€™re just the same as 1000â€™s of other people out there doing the same thing, then you are facing an up hill battle. As I say in my post the answer is to rebrand the product to the point where it looks nothing like the original, put in more value and then attract affiliates by offering a generous commission. In the post I talk about a spin rewriter too that can help you churn out high-quality, re-spun content so that you can totally rewrite the content provided in any PLR product, eBook or article that you want to reuse. So, if youâ€™re looking for an affordable solution for nearly effortlessly rewriting content then I highly recommend you check out Spin Rewriter. This is one of the best articles I’ve read on “creating an ebook”, most of the articles I’ve read do not have this level of detail. 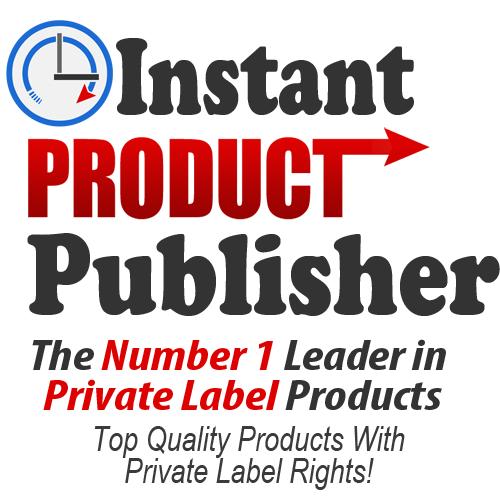 Thanks for the information on Private Label Rights. I signed up to plrebooksclub and I got a lot of value out of my subscription with them but I’m now looking for one that will give me more value for my money. So, in your opinion is Instant Product Publisher a better option? Thank you for writing this great article,i’ve been looking online to know about how to write an Ebook but couldn’t find any article that is as detailed as the one you wrote. About the PLR package,what is the cost of the dime sale on this package? i also agree with you on the wealthy affiliate program.it;s a good program that i’ve also joined recently. you are really helping people with your content pete. keep up the hard work.thanks. Peter!! Thank you for your article! This article is informative and great. Do have any advice on programmes for creating free mobile apps for more target market reach?